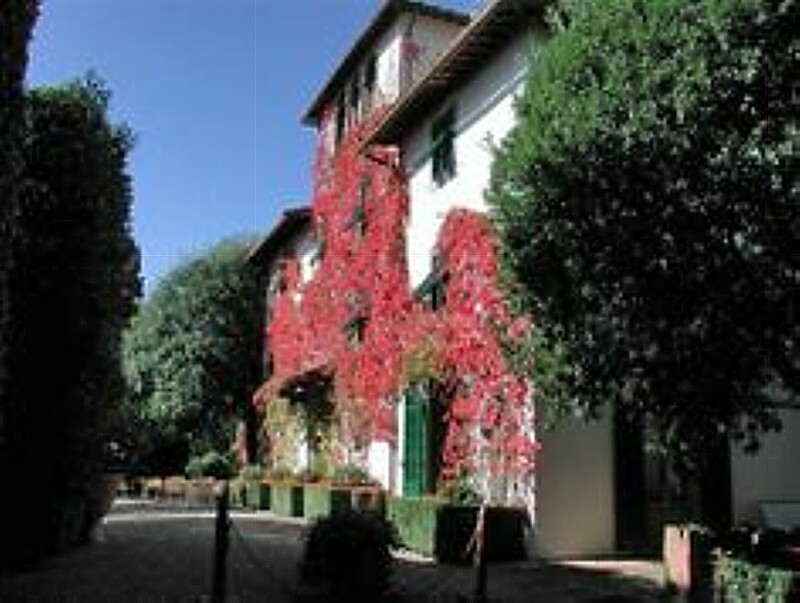 The charming 28-room hotel Villa le Barone is set amongst the timeless landscape of Chianti, and has been in the famous Della Robbia family since the 16th century. Villa le Barone, the four-star luxury hotel in Panzano, Chianti, in the heart of Italy’s scenic region of Tuscany, offers guests the chance to enjoy a day of wine tasting and cooking lessons while vacationing in one of the most glorious and scenic regions of Tuscany. What better place to enjoy a Chianti wine than in Italy’s own Chianti Region? Villa le Barone offers a memorable “Gastronomia Toscana” (Enjoy Wines and Tuscan Gastronomy) package which includes a welcome bottle of Prosecco and fresh flowers in the guestroom, an itinerary with or without a driver to explore the Chianti region, a large buffet breakfast, Tuscan dinner and a complimentary bottle of Chianti Classico or a free bottle of local grown extra virgin olive oil (agroqualità) as well as an option to take a local cooking class. Set in the heart of Tuscany, between the historic cities of Siena and Florence, Chianti is noted for its wine, food, landscape, culture, and its inspiration for poets and painters, with its rolling hills of vineyards, olive trees, woods, farmhouses, and castles. Individual churches are surrounded by dark cypresses and impressive monuments throughout the quaint villages of the area. From July 15- August 31, 2014 and October 1 – October 13, 2014, the Villa le Barone’s Gastronomy di Tuscany (Enjoy Wines and Tuscan Gastronomy package) ranges from €960 (approximately $US 1,305/$CA 1,340) for a classic room to €1160 (approximately $US 1,580/$CA 1,680) for a Historic Room or Junior Suite, for two people for three nights. From September 1-30, 2014, prices range from €1000 (approximately $1,360) for a classic room, to €1210 (approximately $1,645) for a historic room or junior suite for two persons for three nights. The cooking course is an additional €100 Euros (approximately $136) and includes two hours with a Tuscan cook, a souvenir apron and the meal that you have actually prepared to enjoy. Car and driver for a day trip through Chianti is an additional €380 (approximately $517). Villa Le Barone was built as a tower in the middle ages and was the seat of a Baronetcy, hence the name “Le Barone.” During the Renaissance, the tower was torn down and converted to a Villa, surrounded by its agricultural estate, where the renowned Della Robbia family spent summers. After the World War I, Marchesa Maria Bianca Viviani Della Robbia managed Villa le Barone as a wine and olive oil estate. Maria Bianca was the granddaughter of François de Larderel, a French 18th century industrialist, who discovered and developed the use of geothermal energy in Tuscany. Marie Bianca’s daughter, Duchess Franca Visconti, converted the Villa into a charming boutique hotel, keeping the refined and elegant atmosphere of a private house, while offering all the contemporary comforts and amenities. Villa le Barone is now the property of Duchess Franca Visconti’s heirs, whom you will meet when you stay at Villa le Barone. The charming 28-room hotel Villa le Barone is set amongst the timeless landscape of Chianti, and has been in the famous Della Robbia family since the 16th century. The swimming pool, tennis court, fitness trail, fitness room and terraces are set amongst large rose gardens, with views over the surrounding countryside, olive groves and the vineyards of Chianti Classico. 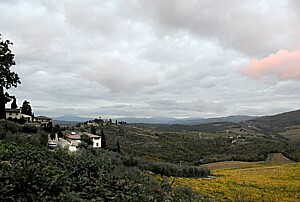 In the old winery, the restaurant serves traditional Tuscan food and of course, the world-renowned local Chianti wines. For more information about the “Gastronomia Toscana” (Enjoy Wines and Tuscan Gastronomy package) or to simply learn more about the local wines in the area, to book a reservation, or to learn more about the variety of recreational activities one can enjoy at Villa le Barone, visit www.villalebarone.com.